I'm about to a minor makeover in the master bath. I say minor because we can't afford the floor or wainscoting right now. I also want a new cabinet and an additional sink. We just don't have it in the budget right now so I'm just planning to paint, frame the mirror and get Charles to hang a new light over the mirror. I've already painted the bathroom once and we changed out all of the hardware from an ugly chrome to brushed nickel. Right now, the walls are a soothing light green that I really love, but it' time for a change. I'm going for a beachy theme this time. My powder room was the beachy room, but I've just done a makeover on it (will post on that soon) and I decided to move my shells and stuff from the powder room to the master bath. So far, I've completed one project for the new master bathroom. I've made two other cloches, but this one is my favorite. The shells I used in this one, I got from Hobby Lobby. All of the shells that I've found along various beaches are elsewhere in the house, already being displayed. I've been so busy this week with a sick Hannah and trying to get the house back in order after last week's project, that I haven't had time to work on much. I managed to get the cloche done over the course of three days and I'm starting another bathroom related project today. I'm hoping to be able to get the bathroom painted this weekend. Fingers crossed!! I LOVE it!!! The white is gorgeous and with the shells it looks so elegant. I have a hard time coming up for things to put in my cloches. I am following you thanks to New Friend Fridays!It would be nice if you could share the love back on my blog! Also we have the coolest blog-hop there is... no rules just fun and would love you to join in:) Oh and if you need any help tweaking your blog or easy HTML tips, you know where to come!Happy Friday! What a great idea! Those shells are beautiful. I'm visiting from NFF. I too have four furbabies. 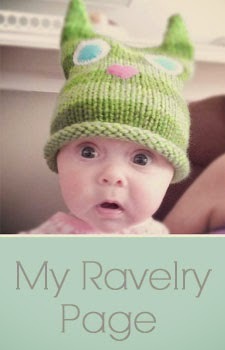 I love the name of your blog, and your banner is great! Your pup is a good sport (and super cute!). Great idea! Your shells look so pretty under glass. I will have to remember this the next time I head for the beach. What a neat way to display shells! I love it! CUTE shell display! I love your cloche and the shells look great in it! So simple yet what an impact! Beautiful! I live in SC too! Visting from Craft-o-mania...Love you cloche and the idea of using it in the bathroom! I made one similar...great minds think alike. 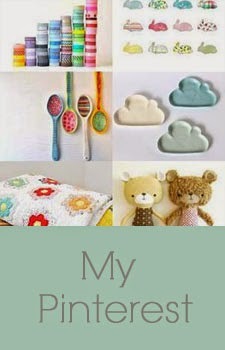 Hope you can stop by my lil' blog for a look-see! So adorable! It's a nice idea to display pretty shells. I just made one of these too! I painted mine ivory, and then sanded it to give it a distressed look. I have mine in my kitchen with some sick gerbera daisies inside. Love it! I agree with everyone else. Displaying the shells in it is a great idea! Thanks for linking up to the Mad Skills party this week! Perfect touch for a beachy bath! Your cloche is cute--but what really caught my eye is the green paint! I agree it's a soothing color. Do you happen to know what it is? Thanks for posting. I came over from Cottage Instincts. Simple and cute. I like it! This is a great idea! I just got some "new" furniture from Craigslist for the guest room and there's a bare corner that just needs something. Think I might look into something like this. What a great piece of decor!! It's beautiful! I'm loving your blog and I'm so excited to be your newest follower! 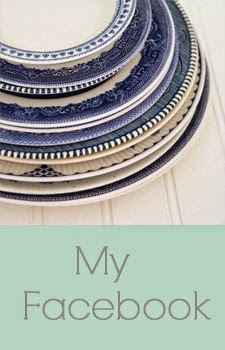 I would also like to invite you to my link party/giveaway every Friday at FrouFrouDecor! I love new friends and hope to see you there! Oh my - that is quite a list of parties! The cloche is gorgeous!